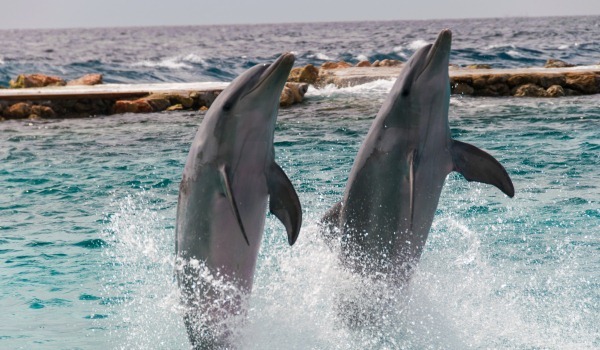 Dolphin Suites is the first hotel in the Caribbean that is specifically designed to accommodate every type of guest, especially guests with special needs. You will find a brand new boutique hotel, yet at the same time fully wheelchair accessible. Located within walking distance from the beautiful Mambo Beach and Sea Aquarium Park. Nature and comfort go hand in hand in the lively eco-friendly Morena Resort. With its beautiful spacious villas and apartments, hidden in the tropical garden, this forms an ideal choice for your holiday on the Jan Thiel Bay. During the day the beach is a delightful place to relax, enjoy the sun and the sea with a tropical breeze. In the evening you will enjoy a delicious meal in one of the many restaurants that are easily accessible by wheelchair and by the electric scoot mobile, which you will find on the boulevard, with a view on the setting sun over the Caribbean Sea. On Curacao there is a tropical climate; because of the always present and cooling trade wind it is rarely too hot. On almost all wide pavements, access slopes are present. The roads are mostly asphalted, in general very well usable and everything is within a short distance. 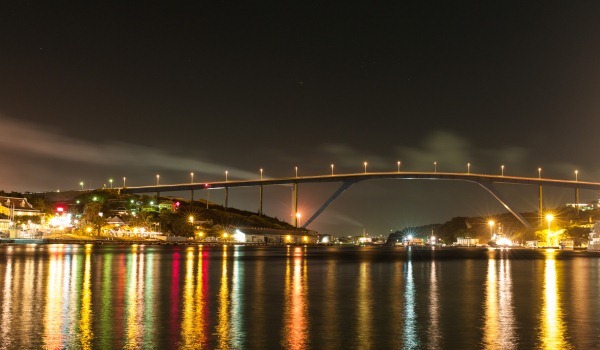 Curacao has plenty of sightseeing opportunities, too many to mention them all. For instance, it is possible to see the always present flamingos; to enjoy the nature of the Christoffel Park, the largest National park. The Hato caves offer plenty of history with the stalactite caves, water parties and ancient wall paintings. Curacao has also got a number of interesting museums that are worth a visit, as well as the ostrich farm. Also the renowned 18th century plantation Brievengat and the Cunucu-homes are well worth visiting. Concerning the ‘under-water-nature’, Curaçao is one of the most beautiful islands in the entire Caribbean and far beyond. 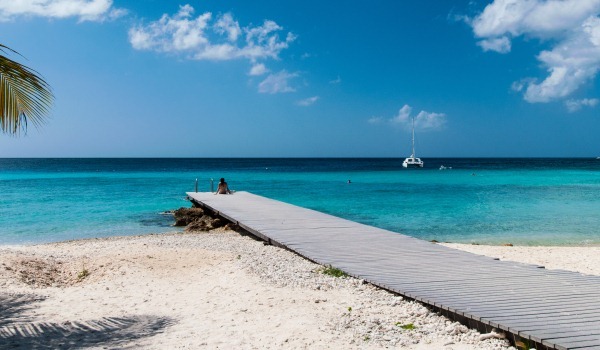 For divers and snorkelers the waters around Curaçao are therefore a true paradise. But not just for them, Curaçao also has good surfing locations! Buses on Curacao (called Konvoi) are a cheap mode of transport to see the island. It must be said that the location of the stops is not always clear, nor are the departure times. In addition there are mini buses that will bring you anywhere you want for slightly more money. Taxis are also very suitable and they charge a fixed rate. For a round trip though the Christoffel Park, you had best rent a car or a jeep. 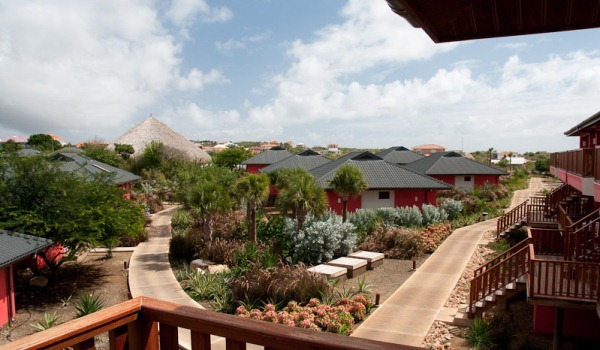 Renting a car is possible on many locations and proves to be a good idea on Curacao. That will allow you to discover the beautiful places. Transport adapted for wheel chairs is also available on Curacao. You can rent bicycles on various locations or form one of the hotels. Fees are between $ 5-10 per day. To rent a moped or a scooter, you need to have at least a moped drivers’ license and you need to pay a deposit. Number of inhabitants of Curacao around 150,000, total area around 444 km². 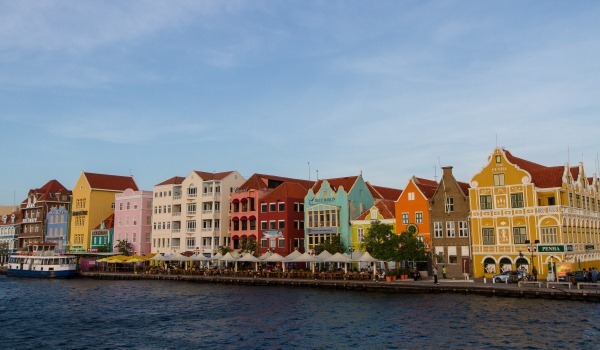 Curacao is a melting pot of as much as 40 groups within the population with roots in a Jewish, Portuguese, Dutch, African and South American past. The art of dance is one of the most important elements from the culture of Curacao. Also on this island there are many influences from other cultures like the Caribbean, Western European, African, Latin American and North American. The official languages are Papiamento and Dutch, but the popular language is in general Papiamento (kon ta bai ku bo? = how goes it with you?). The power voltage on Curacao is 110-130V/50Hz, some hotels and apartments however do have 220 volt. Most sockets are according to the American model. A converter plug or adapter is very handy; both are available on the island. On Curacao there are many sorts of restaurants in various price ranges. The Antilles cuisine is a fusion of various influences, the Creole influence having the upper hand. A typical Antilles dish is funchi, which consists of maize semolina, salt, butter and water. The island does not have many own products. Because of the dryness many products need to be imported. Because of the affluence of fish around the island, you will find fish on the menu often. Fruits often from the basis for all kind of delicious summer drinks. Going out on Curacao, is around ‘Happy hours’. The tap water is good and safe to drink. The Antilles guilder (ANG.) is the official currency on The Euro is more and more accepted as method of payment, but is still often exchanged for the local currency, the Antilles Guilder and/or American Dollars. ATM’s can be found anywhere; Credit cards are accepted almost everywhere. Curaçao is GMT/UTC Offset – 4h, Curaçao does not utilize Daylight Saving Time. Buses on Curacao (called Konvoi) are a cheap mode of transport to see the island. It must be said that the location of the stops is not always clear, as are the departure times. In addition there are mini buses that will take you anywhere you want for slightly more money. Taxis are also very suitable and they charge a fixed rate. For a round trip though the Christoffel Park, you had best rent a car or a jeep. Renting a car is possible on many locations and proves to be a good idea on Curacao. That will allow you to discover the beautiful furthest points of keeps you independent from bus transport.